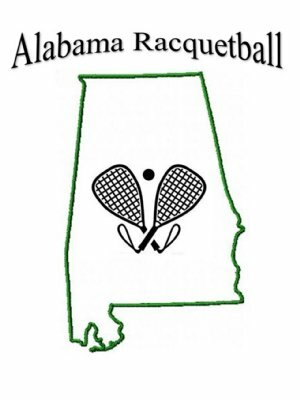 Please join the Alabama Racquetball Association for the 2019 Alabama State Racquetball Championships, Singles, Doubles on the 16th and 17th of March 2019 at the UAB Campus Recreation Center in Birmingham. This is the Alabama State Racquetball Championships you must be an AL state resident to enter a singles event. For doubles at least one member of the doubles team must be an AL resident. The event will be a 2 day sanctioned USAR racquetball tournament with players from throughout the state. Each participant will receive a souvenir shirt. Meals and refreshments during the tournament will be provided. This event will be held at the UAB Campus Recreation Center, 1501 University Boulevard, Birmingham, Alabama. There is no Event Hotel, however, there are a couple of hotels in the area to choose from. This is an USRA sanctioned and a National Qualifier event. All USRA rules apply. Two games to 15 points. Tie breaker to 11 points. Players must be USRA members. A USRA membership can be purchased at the tournament for $50 1 year adult or $25 Junior or a one-time competitive membership can be purchased for $20. Winners must referee. Failure to referee will result in a forfeit. The Campus Recreation Center does not provide towels so make sure to bring your own towels! The Tournament Director reserves the right to move any player or players to another division and if necessary to combine divisions. USAR Membership – please remember to renew your membership prior to the state championships or as it expires and consider sponsoring a junior or collegiate player or someone who could use a little extra support to keep playing in the coming year!! !